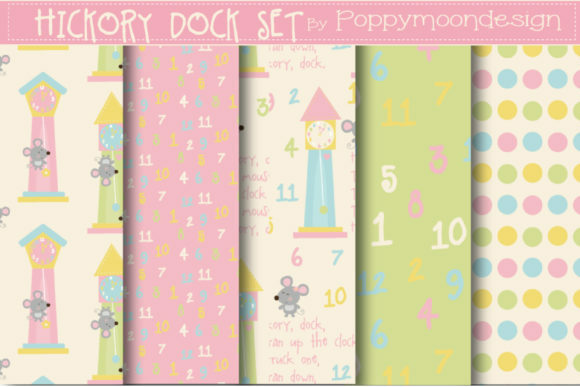 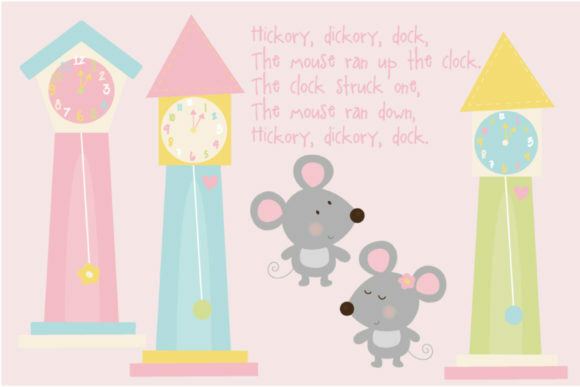 Pack includes pastel colored clocks, girl and boy mice and the nursery rhyme. 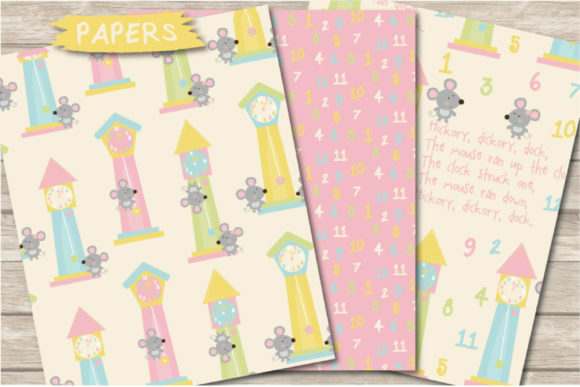 Perfect for party invites, scrapbooking, greeting cards and crafts. 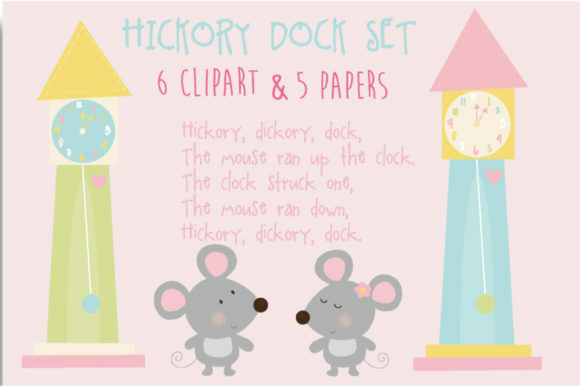 This pack includes 6 cute clipart elements and 5 coordinating papers.